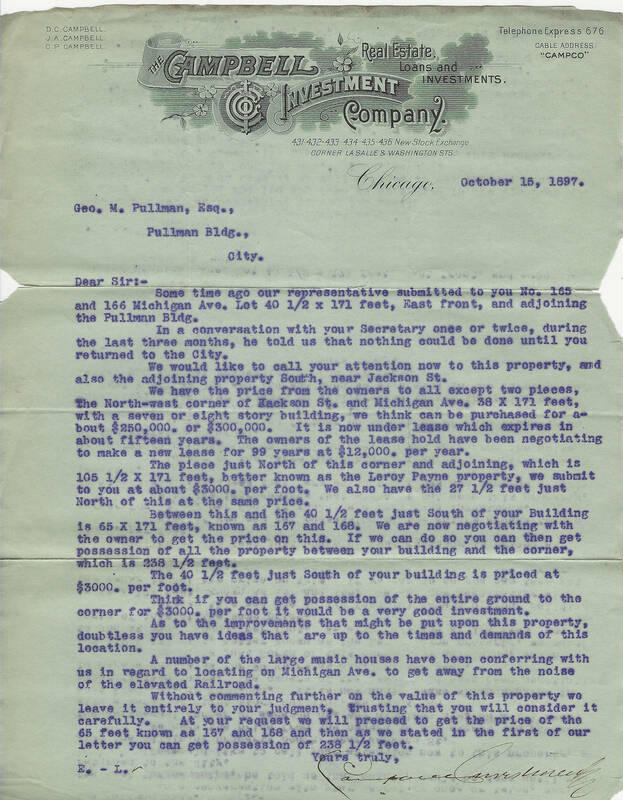 Letter to George Pullman offering property at NW corner of Jackson & Michigan in Chicago ( 166 Michigan). Figures for costs discussed. Mentions "large music house" interest in locating near there...Orchestra Hall? Description Letter to George Pullman offering property at NW corner of Jackson & Michigan in Chicago ( 166 Michigan). Figures for costs discussed. Mentions "large music house" interest in locating near there...Orchestra Hall?